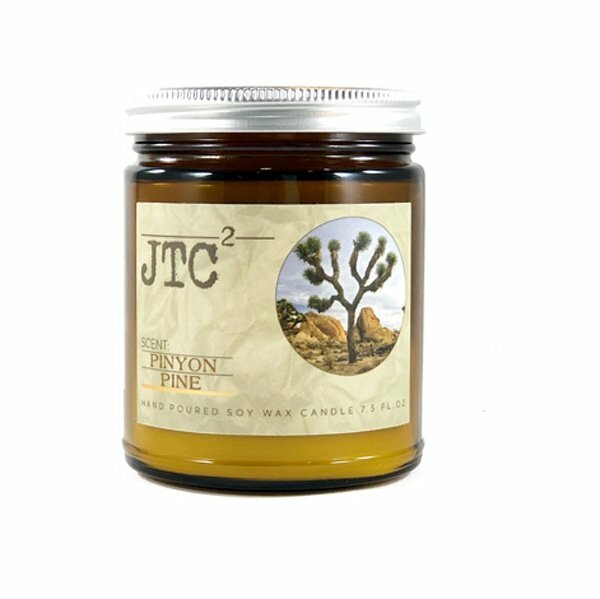 Joshua Tree Pinyon Pine Candle is a distinctive pure clean pine with the perfect amount of sweet bottom note. Perfect for the holidays or any season. Why Joshua Tree Candle Co.? Joshua Tree Candles are hand pour in small batches to ensure the highest quality. Handcrafted with local, premium blended soy wax, fine fragrance oils and cotton-core wicks, all hand poured in a craft studio in Joshua Tree, California!